The Environment and Minister responsible for Canadian Northern Economic Development Agency, Leona Aglukkaq is in Geneva appealing the World Trade Organization (WTO) ban of Canadian Seal Products in the European Union today, which was upheld on the basis of moral grounds. I support the Minister in our appeal. The Canadian seal hunt is well-regulated, humane and sustainable. It has been a way of life and a significant part of our culture and heritage on the Great Northern Peninsula for centuries. 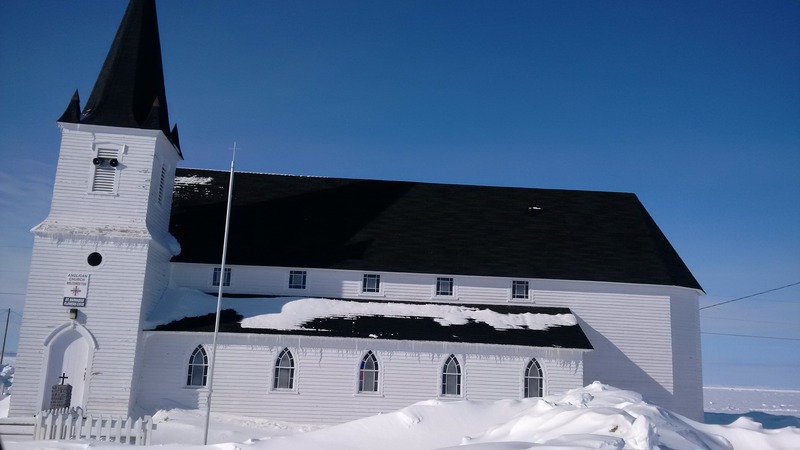 In fact, St. Barnabas in Flower’s Cove was built under the leadership of Rev. Canon J. T. Richards in the 1920’s. The men and women made seal skin boots, which when sold went into a building fund. The church has been known locally as “seal skin boot” church. Local harvesters each year prepare to take to the ice. These are brave and courageous sealers, who risk their lives to provide for their families. My father was a sealer. He knew the art of bark tanning and preparing the skin to make leather products. Depicted below are seals tanning in Savage Cove, by the very talented Mr. Stevens. There are more modern products beyond seal skin boots that have been used to keep us warm in some of the harshest weather conditions, as winter can be difficult for those of us in the North. 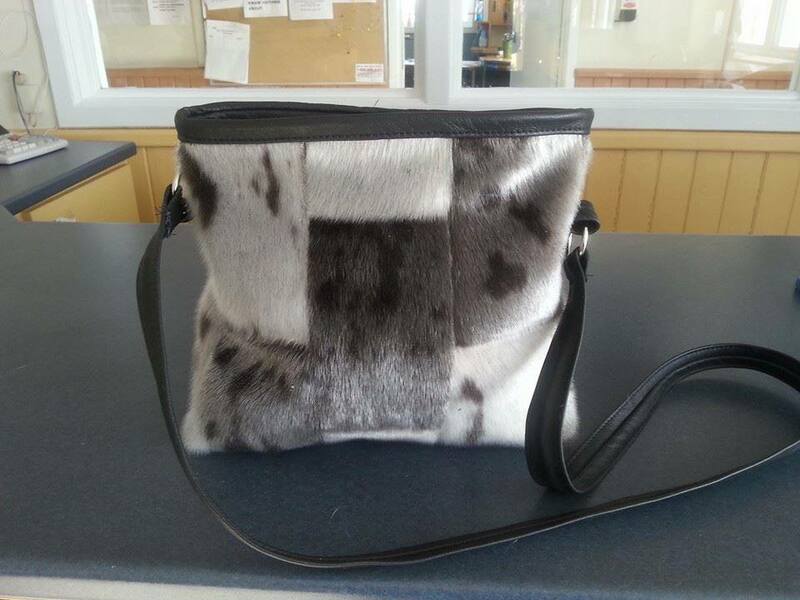 Below is a patchwork sealskin purse. They are handmade creations by local craftspeople. With pride I promote our very own GNP Craft Producers in Shoal Cove East on the Great Northern Peninsula. If you would like your very own, they can custom-make them. Visit www.gnpcrafts.ca or call 709-456-2123. I am a strong supporter of the Canadian seal hunt and will continue to press for more products and new business developments for all involved in the industry. 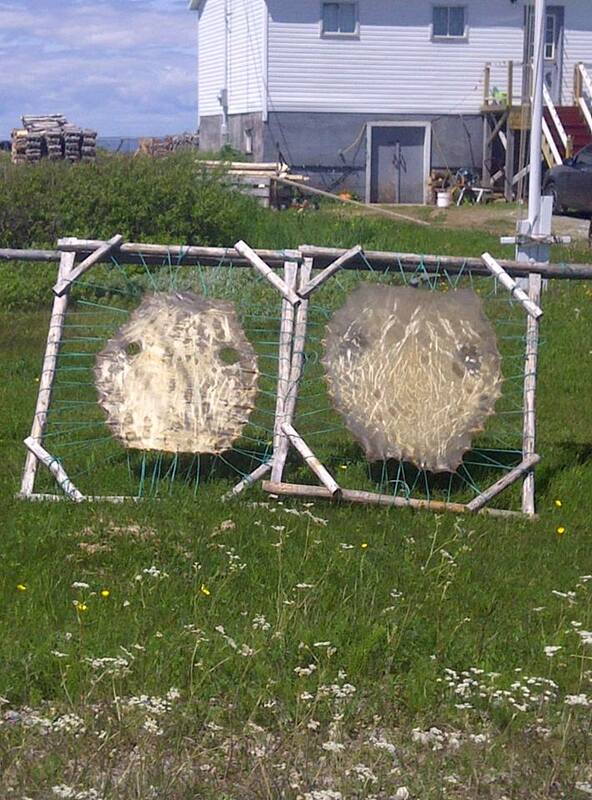 Posted on March 17, 2014, in Art, Business, Community Economic Development, Heritage, Politics and tagged Great Northern Peninsula, Labrador, Newfoundland, seal, seal hunt, wto. Bookmark the permalink. Leave a comment.